Immediate Occupancy In This Sharp Townhome! ! This Unit Has Been Freshly Painted Throughout, Newer Ceramic Tile In Hall Bath, New Counter Top And Wall Lights In Powder Room (july 2017) New Pergo Flooring (2017), Newer Countertops, Sink, All Appliances, Including W&d. Attached Garage w/Edo And New Garage Door (july 2017). Open Liv Rm With Fp And Access To Patio From Dining Rm. Easy Access To Rt 83, I-55 & I-355 Tollway. One Months Rent Security Dep. & $40 Non-refundable Credit Fee Per Adult. Hurry Won't Last! ! ! Sorry, No Smokers And No Pets. Currently Occupied By Tenants. Photos Before Tenant Occupancy. 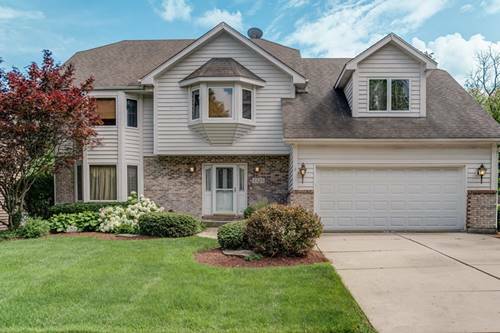 For more information about 7970 Knottingham Apt C, Darien, IL 60561 contact Urban Real Estate.